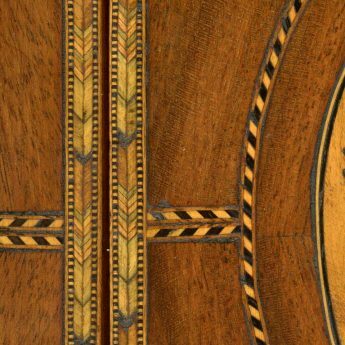 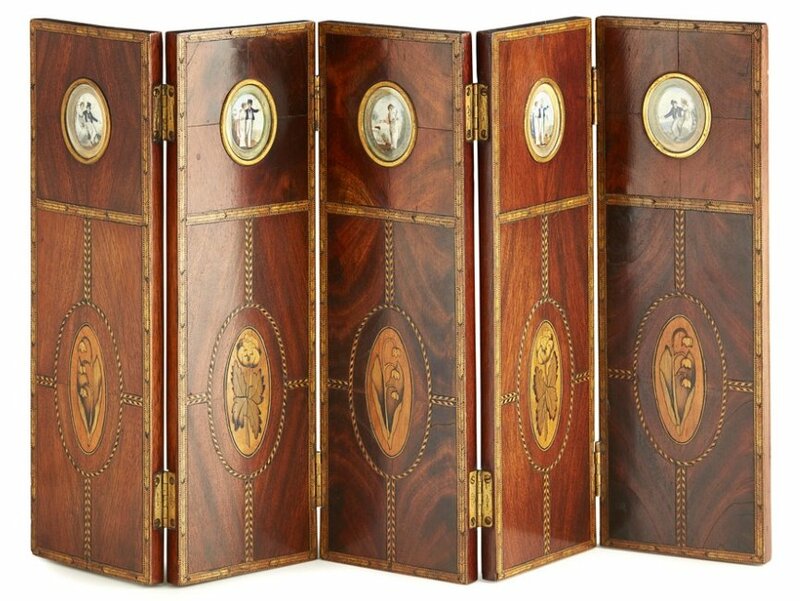 This Georgian mahogany table screen is rather special and may have been created as either a travelling salesman’s sample or an individual commission designed to house and display a small collection of sailor’s farewell and return miniatures. 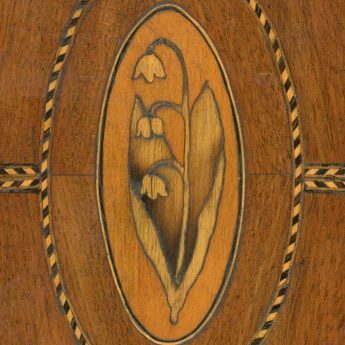 Each panel of the five fold screen is edged with inlaid feather banding; below ebonised chevron inlay surrounds a floral reserve featuring lily of the valley or a rose. 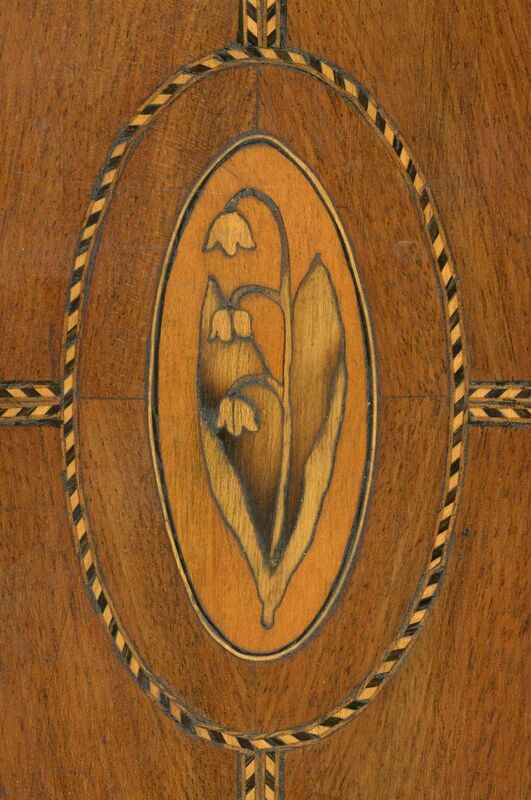 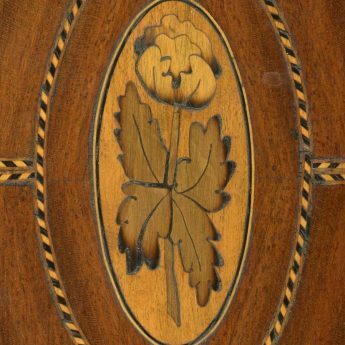 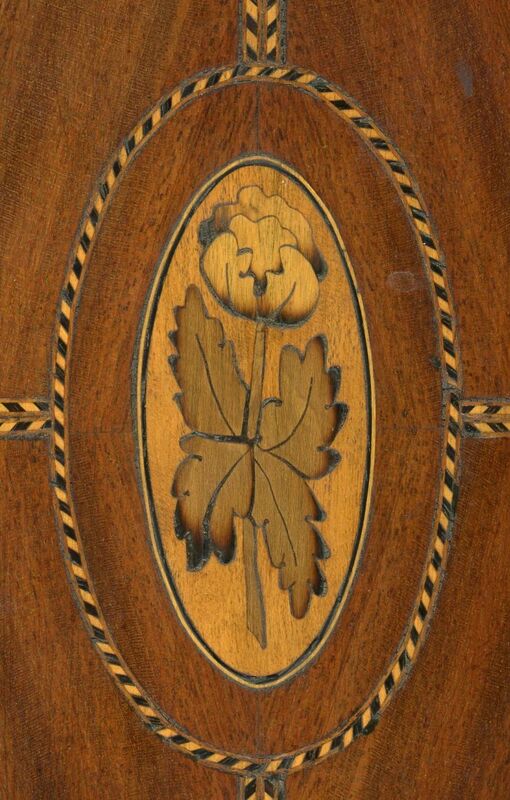 The glazed ivory ovals are inset with a brass mount at the top of each panel. 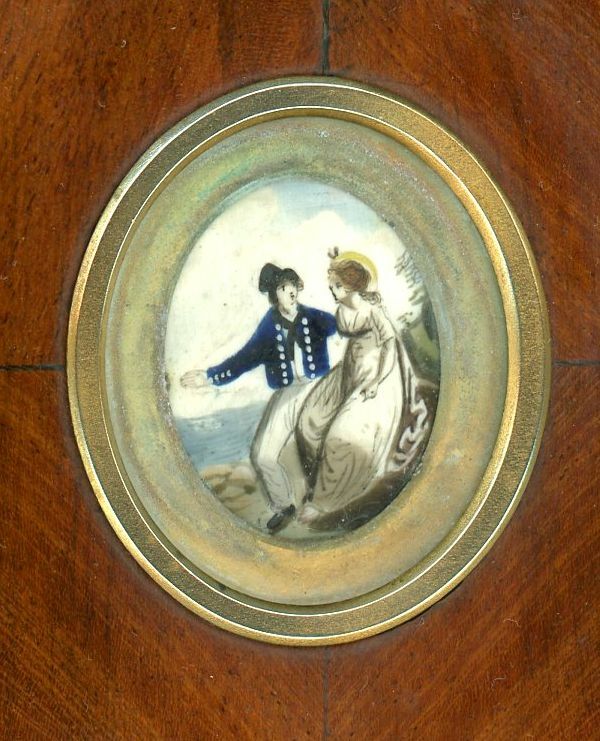 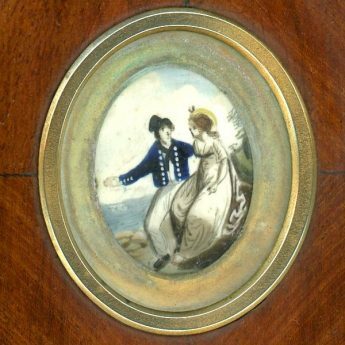 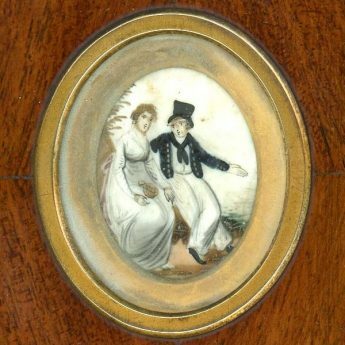 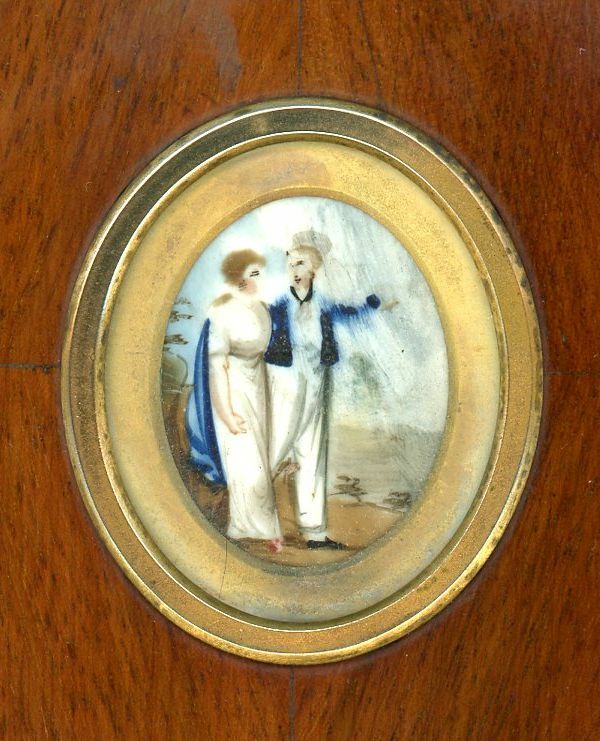 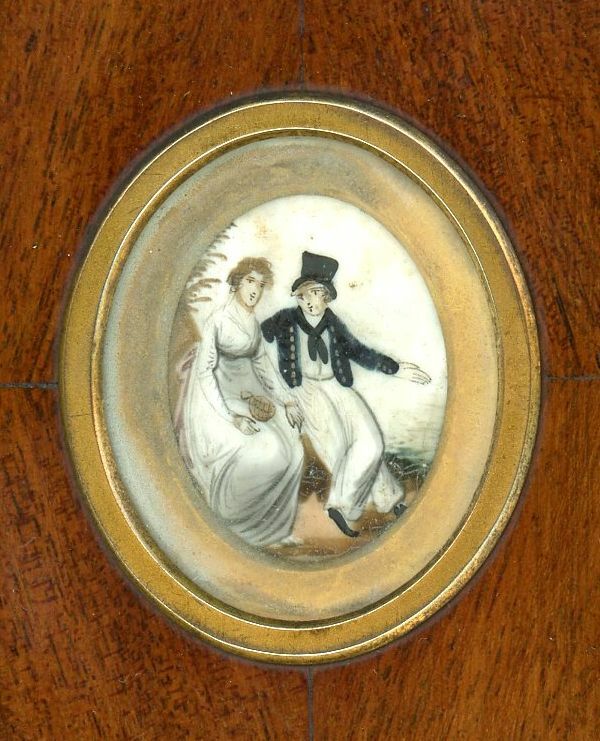 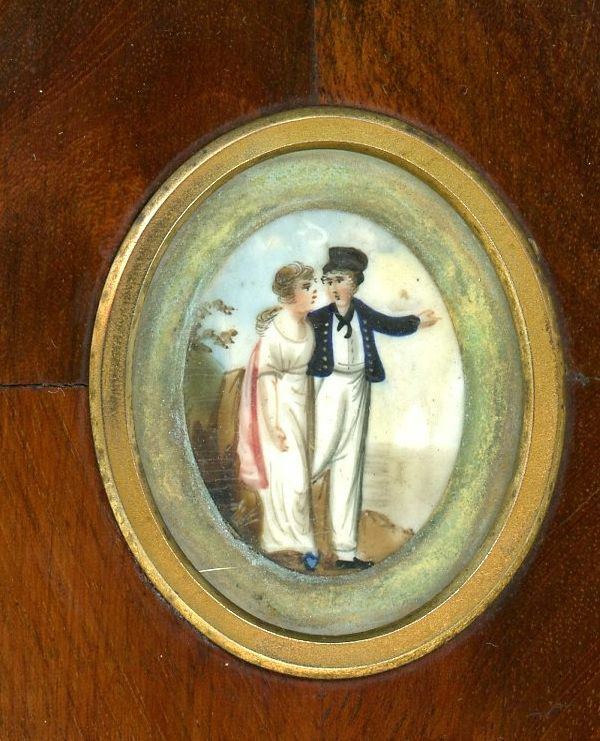 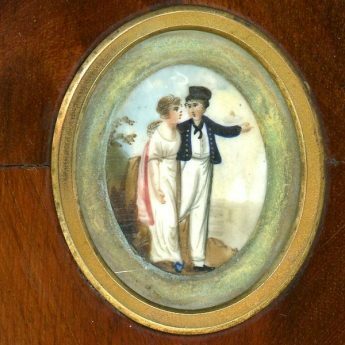 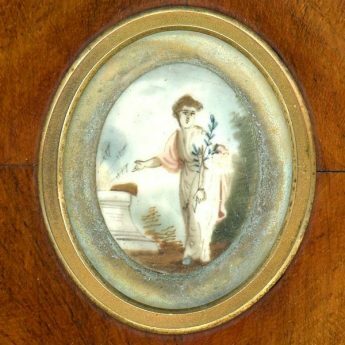 The miniatures date to around 1800, a busy period of naval warfare when sailors regularly set off on long voyages leaving their sweethearts at home to watch and wait for their safe return. 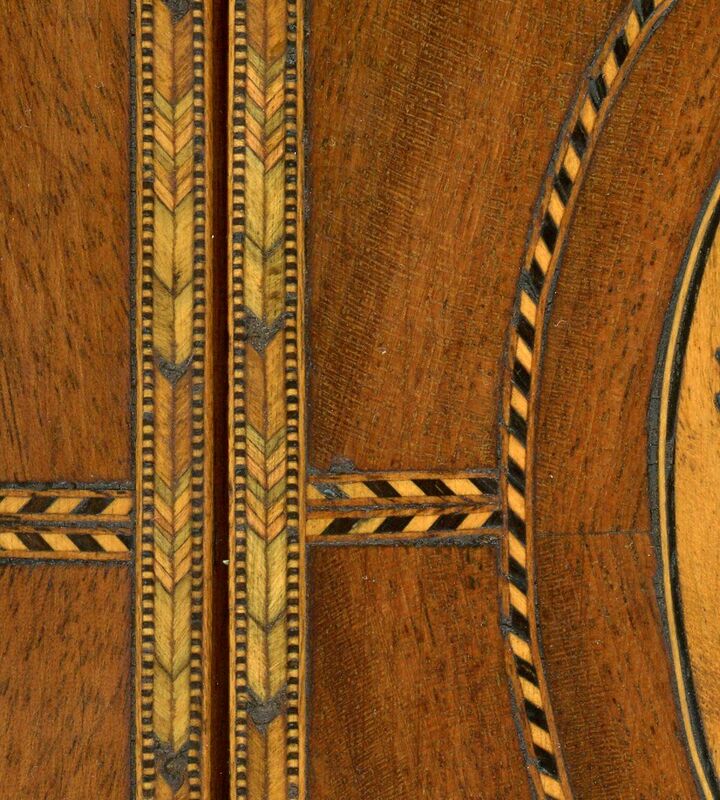 The screen is in fine overall condition with occasional small hairlines and cracking to the veneer and minor pin-sized losses to the inlay. 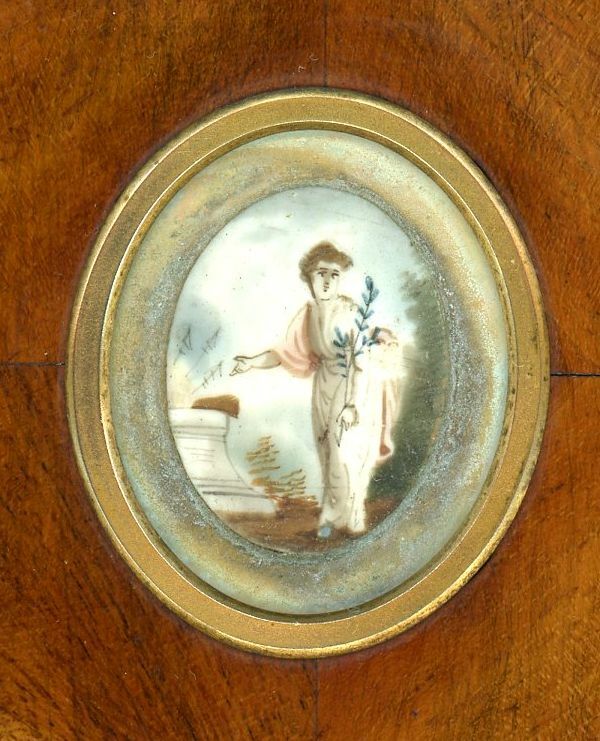 The miniatures show some light surface craquelure and one miniature (second panel from the right) has some smudging to the paint. 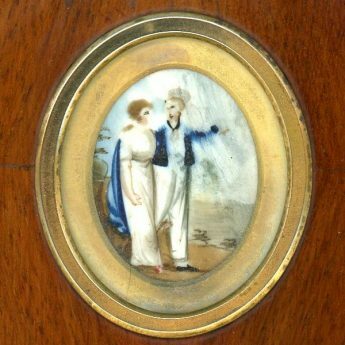 The reverse side of the screen is plain and, apart from light scratches to one end panel, is in fine condition with good colour.